As a new home owner, I already had many pieces of furniture for my house. We had matching couches, beds for each room, decorations, a kitchen table, etc. But we have been missing the accent furniture to go along with making the rooms stand out. We are missing those pieces that make the rest of your furniture perfect. Since it is tax season, and our first one of buying a house, we decided we would use our money to buy a few different accent pieces to make the rooms in our house really stand out. Our living room, kitchen and dining room are very white, airy and open and they are just missing a little color. When you move from an apartment to a house, you usually are just bringing over the basic furniture that you have had for the times spent in apartments. Now owning a house, it is time to bring in those accent pieces that can change a room. The first piece I am looking for are new lamps. Since all of my furniture is beige in my living room and the end tables/tv stand/bookshelf are wood, I felt that this blue lamp with a beige cover would make the room pop. 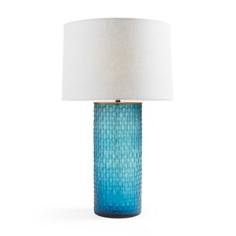 This Parkham Blue Table Lamp piece could go on both sides of my couch and because there is no other color in the room, it would stand out and be the perfect match for my house. 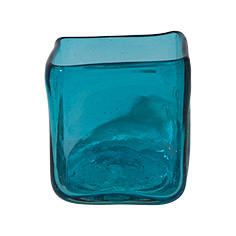 With my new color theme of blue, aqua blue, ocean like colors, I was in search of a few more pieces to go with my lamps. In my classroom, I am all able multiple colors colliding, but in my house, I prefer to keep it simple and stick with one or two so it doesn’t clash. When looking around my living room, the next piece I notice that I need are new throw pillows. Every couch is accented with throw pillows and mine are reddish. They were fine for the past year, but the colors fade and the designs start to sink into the couch to the point where they actually stop accenting the couch and become a part of the couch! The Coastal Stripe Blue Square Pillow is a perfect accent to my couches. The pillows would fit with my beige couches as well as match the new lam. These colors would not only provide a new look for my room, but the color blue is supposed to bring down your blood pressure and slow the heart rate, which is why it is considered calming. When my husband and I come home from a crazy work day, we want to be calm, and the color blue in the room will help us relax. Perfect! One of the bigger pieces I would pick to go with my living room would be the Boracay Coffee Table. 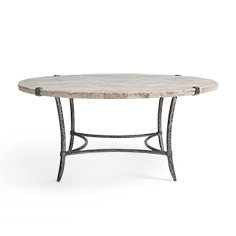 This table would be perfect in my room with the Aqua Glass Cube Vase on it and some white flowers. As I am building my living room, I picture myself in a beach house, with all of these lovely blues. It would be absolutely perfect. My last piece I would pick would go in my dining room. It has a vintage look and would really match the rest of my blue color theme. It would be a great piece for me to put with more flowers on top and use it to hold bigger pots and pans that don’t fit in my cabinets (which I have lots of). 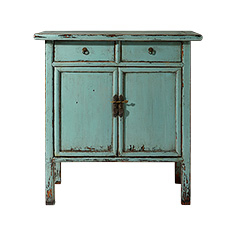 This Teal Ming Cabinet is exactly what it says in its description: a perfect complement to any room. There are so many more I wanted to pick and that is the problem with shopping and decorating the home, the number of items that you could pick. You really need to see what will make your room stand out and which pieces go with your furniture. It really does make a difference when you add color. If you are looking to add accent pieces in your house, I suggest you check out the living room page and find what fits best for you!